Did you know that the vacuum cleaners and carpet cleaners most homeowners use to shampoo their rugs do not have enough suction power to really clean carpets below the surface? While they may look a little cleaner, there is a significant amount of debris that settles deep in your carpet fibers. Dirt, pollen, mold spores, dust mites and other allergens get stuck below the surface and remain largely untouched by most carpet cleaners. If you want your carpets to be truly clean…and who doesn’t…you need professional help. Many people opt for the do-it-yourself method because of the price. However, we here at OxiGreen Carpet Cleaning in Morrisville, PA don’t want you to let the cost of a professional carpet cleaning prohibit you from enjoying the benefits. For that reason, we have created a couple of carpet cleaning specials that you might like to take advantage of. OxiGreen’s $99 special includes two carpeted rooms and one hallway. This is the perfect package deal for those who live in a small apartment, or who have hardwood floors in the main areas of their house. OxiGreen in Morrisville, PA also offers a $191 special that includes the carpet cleaning of five rooms and a hallway. Both packages include pre-vacuuming and the moving of lightweight furniture. Our certified technicians will do a carpet inspection, looking for any problem areas, spots or stains that would require pretreatment. We then will do a thorough, completely “green” carpet cleaning, using only eco-friendly cleaning agents derived from the tea tree. All of the cleansers we use are non-toxic and biodegradable. They are safe for your family and the environment. And, because of the superior suction of our carpet cleaning machines, your carpet will likely be dry in as little as an hour or two! 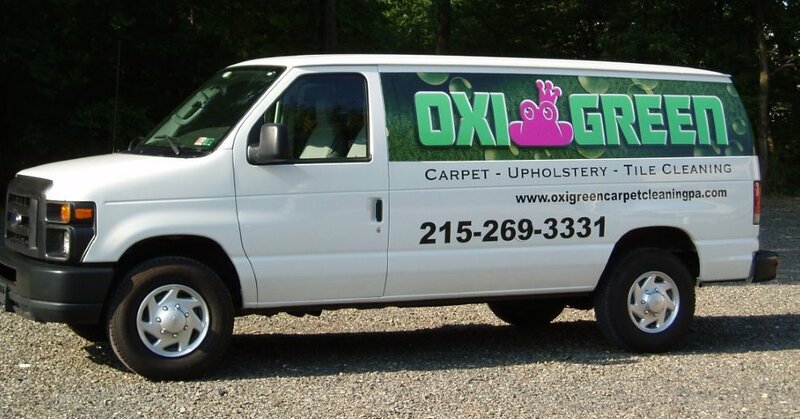 For outstanding carpet cleaning specials, call OxiGreen in Morrisville, PA today at 215-269-3331. You’ll be glad you did!